12.5 Lts approx 50 – 60 cups. 50 free cups and straws. 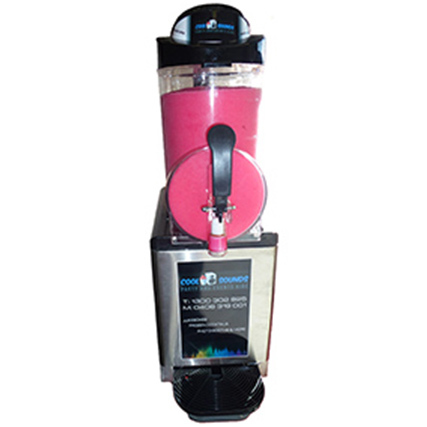 With a Cool Sounds slurpee machine we take the hassle out of preparing cocktails and mocktails away. We arrive with a fully cleaned and sanitised machine which we then set up so all you have to do is add the alcohol and party the night away. Even better, we do all of the cleaning after, so you have more time to party. Yes, there are many flavours available for children’s parties and for those that just want a refreshing fruity slushie. Please see our Flavours page for more details.